With the rollout of Eway bill all dealers across the country transferring goods of value above Rs, 50,000 are required to generate an Eway bill in case of inter-state movement i.e. move to another state. The rule applies to intra-state movement of goods for states who have adopted the Eway bill system for movement of goods within the state. While transferring goods from one place to another by a dealer, different methods of transportation can be used i.e. delivery using own vehicle, hiring a vehicle or using a Goods Transport Agency (GTA) services. A dealer may negotiate or agree with a buyer to ship the goods using his own vehicle or he may hire a vehicle exclusively for shipment of goods or may seek the services of a GTA for shipment. In either of the three cases, the Eway bill is required to be generated (wherever applicable). Under any of the three circumstances, the Eway bill (EWB-01) as mentioned above has to be generated. The person responsible for generating the Eway bill is the consignor, consignee, recipient of goods (if different than consignee) or the transporter (where using GTA services). There are certain circumstances where the Eway bill generated earlier needs rectification, change or update in terms of change in vehicle number, etc. on account of change in the vehicle during shipment or trans-shipment, etc. These cases typically arise where the shipment is sent using a transporter’s services. In case of a change in vehicle or otherwise, the transporter shall update the vehicle number of the new vehicle or the new mode of transport (in cases where the mode of transport changes like road, rail or air). In circumstances such as goods not being transported or not transported as per the details in Eway bill, the person who has generated such Eway bill has the option to cancel the same. It should be kept in mind that the Eway bill once generated can only be canceled within 24 hours of its generation. Please refer to the article on how to update the Eway bill after generation through online portal here. Also, the steps for a generation, updating and cancellation of Eway bill through SMS mode are provided here. As stated, any mode of transport can be chosen for delivery of goods by a dealer. We take an instance of three different scenarios for transfer of goods: Using own vehicle, Using hired vehicle and Using services of GTA. 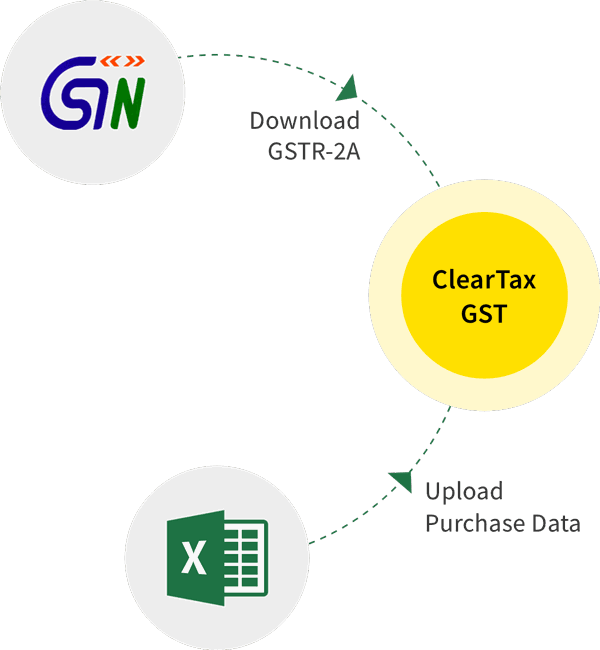 Under this scenario, the dealer would be required to generate the Eway bill by providing the vehicle number along with other relevant details as explained in the links above for generation of Eway bill. There is no requirement to fill the details of the transporter of transporting agency or the transporter’s GST no. The dealer shall fill the details as required in Part A of the Eway bill and mention only the vehicle number in Part B. Under this scenario as well, the dealer would be required to generate the Eway bill by providing vehicle number of the hired vehicle along with other relevant details as explained in the links above for generation of Eway bill. There is no requirement to fill the details of the transporter of transporting agency or the transporter’s GST no. Under this scenario, there might be two instances, first where the consignor or consignee generates the Eway bill and second where the transporter generates the Eway bill. In cases where the consignor or consignee generates the Eway bill, the details as required in Part A are to be filled similarly as the above two scenarios. In Part B, the person generating the Eway bill should mention details such as Transporter document no., Vehicle number, Transporter’s ID (if applicable). In the case where the transporter is generating the Eway bill, the details to be filled in Part A shall be given to the transporter based on which the Eway bill should be generated. A dealer in certain cases opts for transport of goods from a means other than road transport i.e by rail or air transport.